Home / Goldfish Types / Types of goldfish. Things to know about goldfish! Keeping fish is a great hobby, and probably the first pet one decides to try is the goldfish, whether it be for a child or for yourself, planning to put them in aquarium or in pond. However, with so many different types of goldfish it’s hard to know where to start. The best way to start is by learning a little about some of the goldfish types, so you can make an informed decision on which one to buy first as there are many varieties of goldfish available today. That being said, this article will explain a little about several different goldfish types that are ideal for beginners, or those looking to start their first tank or small pond, as some are easy to keep while others can be a little less hardy. Goldfish originate from carp, and have been bred for centuries, which is why now we have such a varied variety of species, looks and colors. Probably the most well known goldfish is the common goldfish, the type you win at fairs that come in a plastic bag. Although this practice isn’t as common as it used to be, because it is inhumane to keep fish in a small plastic bag for such a long time. Having said that, even the common goldfish can come in a variety of colors, like orange, yellow, reds, and even blacks, and are hardy, so generally easy to keep and breed. 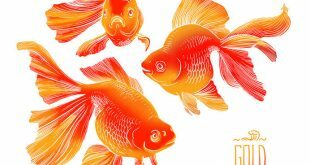 Here are some goldfish types with pictures. 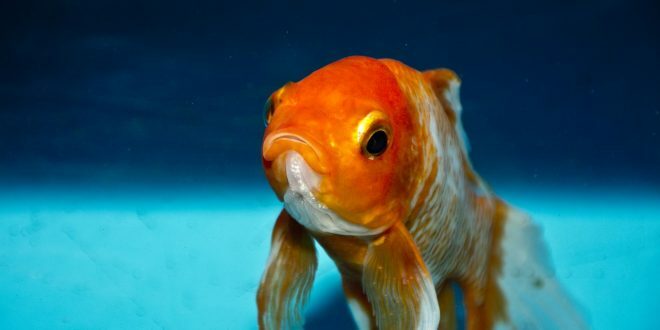 The common goldfish is probably the most hardiest of goldfish, making it ideal for those just starting out, either with a tank or a garden pond. The common goldfish is most like it’s ancestor, the carp, with a smooth body, and a forked tail known as the caudal fin, in fact common goldfish care is easy as these are so hardy they can survive in most ponds all year round. Fish often grow according to their surroundings, and the amount of room they have, so those that are kept in a garden pond can grow to as large as a foot long or more, while those kept in a tank do not often reach such lengths. Another excellent starter fish is the comet goldfish, which can also be kept in the same tank or pond as the common goldfish, and they are just as hardy as the common goldfish too. The comet is sleek with stiff fins like the common goldfish, but has much longer fins, with the caudal fin deeply forked, which can be almost as long as its body. The comet is usually a favorite among beginners, or with those that have common goldfish, and want to add another type to compliment the ones they have. Moreover, comets also come in a variety of colors. The Shubunkin goldfish is another favorite among beginners, and experienced fish keepers alike, and are often recommended for beginners, because just like the comet and the common goldfish they are extremely hardy and do well in both ponds and tanks. 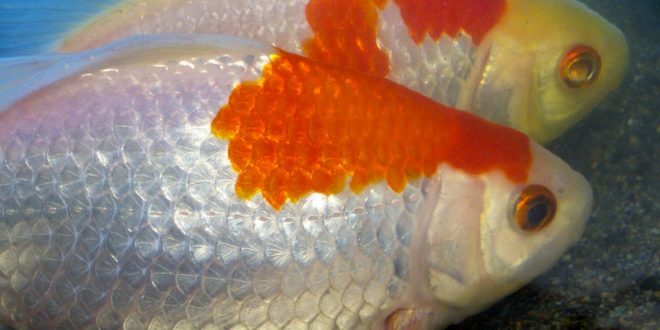 Shubunkin goldfish are easily recognizable due to their calico patterns, with patterned colors that include orange, blue, red, black, brown, white, purple and yellow. In addition, it is said that the more blue a shubunkin goldfish has in it, the more valuable the fish is. Furthermore, like most slim bodied types of goldfish they are fast swimmers and competitive eaters. The black moor goldfish is another recommended goldfish for beginners and yet again, they are hardy enough to be kept in garden ponds as well as indoor tanks but still needs proper water for goldfish. They are often included in garden ponds, because of their high tolerance to cold temperatures, but even though they have telescope eyes they are poor sighted and slow swimmers. Having said that, if you keep black moors in the same environment as fast swimming fish you need to allow this fish to get his share of the food, most people keep black moors in the same tank as other slow swimmers to avoid this problem. The Ryukin type of goldfish is a great type to keep with the black moor, because it is a slow swimmer too, and is easy recognizable due to its large hump just behind the head. This large hump starts just behind the head and rises at a sharp angle on their back where the dorsal fin is located. Ryukin also come in a variety of colors including white, orange, red and calico, and the most prized ryukin are the ones with long flowing fins. 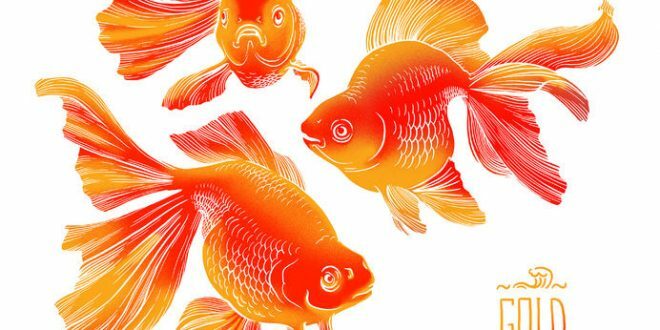 When it comes to purchasing your first, many people don’t realize how many different goldfish types there are, and once they realize how many there are, the decision can become difficult. 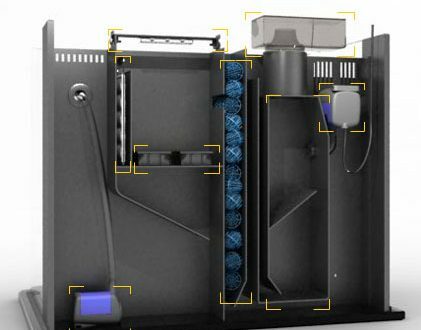 Looking at the five mentioned above should give you a great starting point at which to start looking, because they are all ideal for both tanks and small ponds. Nevertheless, you can purchase one or more types of fancy goldfish to compliment one another in their environment, and having different goldfish types in one tank can really look like a natural picture, and help to create a focal point in a room easily. Fantail goldfish are generally the most hardy of the ‘fancy’ type of goldfish group, and probably the easiest to breed, which is why many that start with goldfish move on to the fantail. Fantail goldfish can live quite happily in the same surroundings as the common types of goldfish, and also do well in small garden ponds as well as larger koi ponds. Originating in China and Japan, and available in other colors as well as just gold. 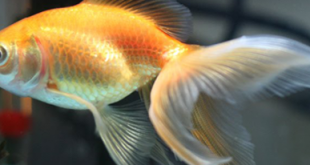 Oranda goldfish can live happily in aquarium and outdoor ponds. Looks very much alike to lionhead goldfish with a rasberry head shape. This beutiful goldfish can grow up to 5-10 inches and has a lifespan up to 15 years in good conditions. Breeding of Orandas is possible (like any other goldfish species) but small percentage of fry grows to be high-quality goldfishes. Panda Moor is sub-type of moor family. It has same protruding eyes as black moor and its colors are black and white. Panda is designed for aquariums and like its cousin black moor quite a hardy fish but nevertheless beautiful and friendly. Lifespan is around 10-15 years depending of care. You can feed them same as any other goldfish.